We propose to install the smartstep system in rehabilitation units as an enjoyable, efficient and effective method of training balance, stepping and executive functions for people attending rehabilitation. 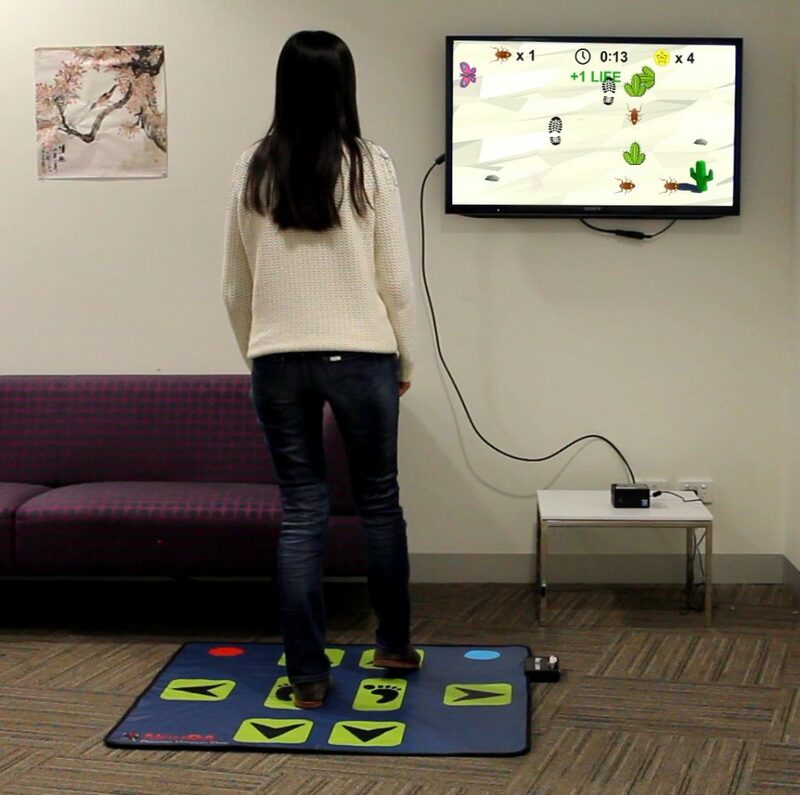 The smartstep system includes modified versions of popular videogames, to maximise adherence and target specific balance and executive functions, played using an interactive stepping mat. This work aims to implement and evaluate the use of the smartstep system in aged care rehabilitation using a randomised controlled trial, comparing changes in patient balance and mobility performance between intervention and control groups. System user satisfaction will also be evaluated from the perspective of intervention group patients and therapists. In this randomised controlled trial with usual care control, groups will be compared on validated balance and mobility performance measures. To date, no studies have examined the potential for cognitive or cognitive-motor training to prevent falls in older people, despite good evidence of fall-related cognitive and physical improvements following both intervention types. Building on our initial work, we have developed and validated a home-based computerised training intervention that can be delivered identically, either while seated (cognitive) or while standing and undertaking balance exercises (cognitive+motor). Our project will also uncover cognitive-motor interactions and their neural pathways related to falls, via state-of-the-art imaging techniques that measure brain structure and functional changes. This intervention addresses both physical and cognitive fall risk factors. It holds promise for a cost-effective fall prevention strategy with multiple health benefits for older people.